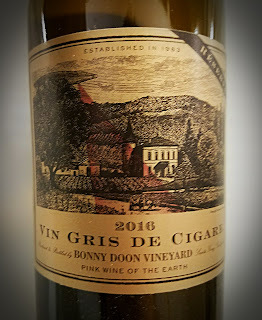 Bonny Doon, the Santa Cruz-based winery that's on a self-described "adventure to make naturally soulful, distinctive, and original wine," knocks me out every year with their releases, the red, the white and the pink. Owner and winemaker Randall Grahm makes a great variety of rosés, of which this is probably the leader and the pink flag of the Cigare line. It's the Reserve version of the rosé, but vinified in five-gallon demijohns instead of larger containers. The bottle is adorned with the classic aliens-in-the-vineyard artwork that identifies the full line of Cigare Volant of all shades. 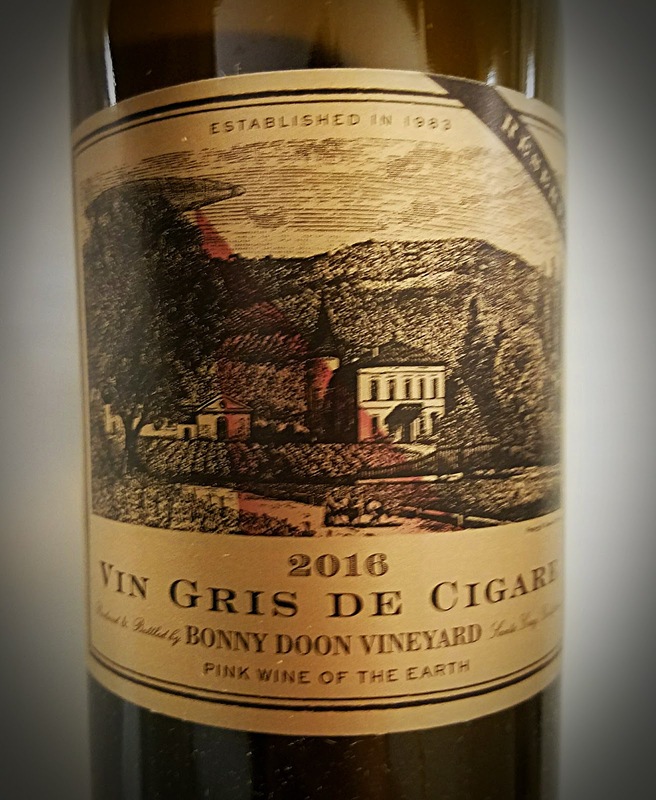 The 2016 Vin Gris De Cigare Reserve is composed of 50% Grenache grapes, 15% Grenache Blanc, 12% Cinsault, 12% Mourvedre, 8% Carignane and 3% Roussanne. Labeled as Central Coast pink wine, the grapes came from eleven vineyards, principally Rancho Solo. 826 cases were made with alcohol hitting 12.9% abv. Grahm advises, "Be careful not to serve it too cold." This is a rosé for people who don't drink rosé because they feel there's no complexity there. This is loaded with complexity, starting with the color - is it pink, salmon, copper, onion… - and continuing on the nose, which offers up a hint of funk along with a host of saline, herbal aromas. 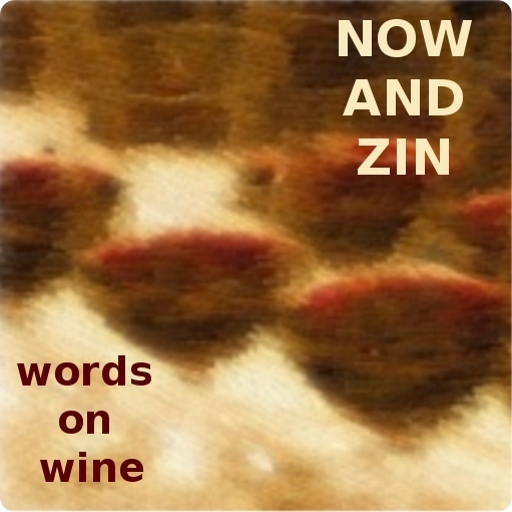 The palate shows more fruit, but stays in the savory range. Zesty acidity tops off this piece of perfection with poise.